I’m so excited to take part in this project which is all about celebrating childhood. It’s hosted by Donna at What The Readhead Said every Monday and it’s my first year doing it. I love the idea behind it because it challenges me to take pictures of my children every week and document everything they are doing. One day they can look back and smile! The name of this project is also so special; just like in the Psalms 127:4 it says “Like arrows in the hand of a warrior, so are children born in one’s youth”; so children are indeed Living Arrows. I used to email them once a month in their first year of life updating them with whatever they were doing at that moment, but that’s stopped now because I’m always so busy. 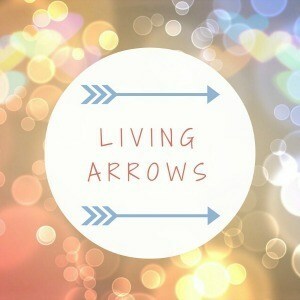 That’s why I think I will love taking part in Living Arrows! We started 2019 by going to the swimming pool. Nathan already knows how to swim in the water with the armbands of course, but Josh still needed us to hold him. Last week however, he gained more confidence and was able to be on his own for a few seconds at the time. We were all so happy for him! We are also so lucky to have a park near us where there are deer so we go to feed them carrots once in a while as well as going out for a walk and spend time together. We did that last week too! How amazing to have a deer park to visit! Such gorgeous photos! Great job on the swimming too! It is a challenge for me and I hope I’ll keep it up. Your comment made my day. Thank you 😀 !